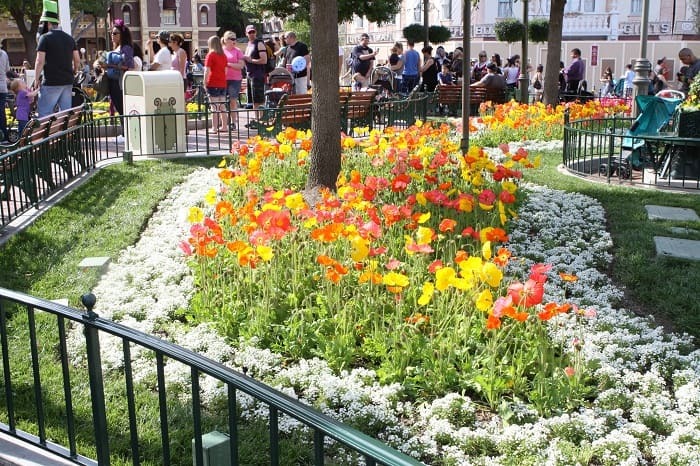 As you walk down Main Street you will see fabulous flowers, charming shops and then….. The bright red Corn Dog Truck or Little Red Wagon. 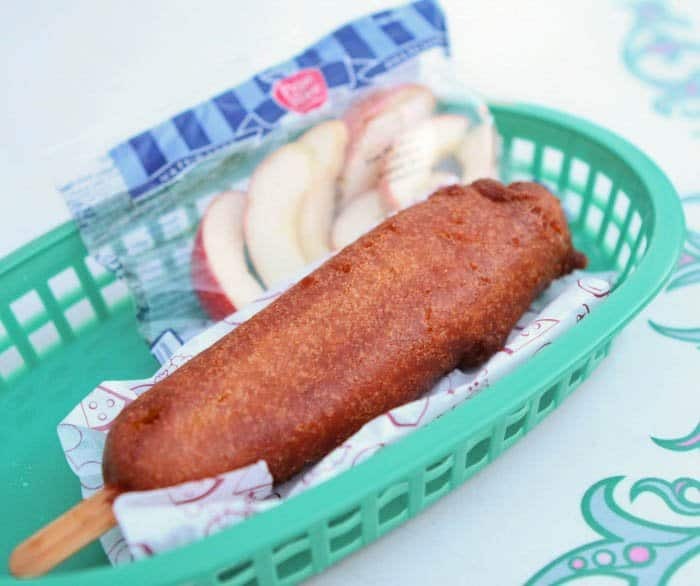 If you ask a handful of people their favorite thing to eat at Disneyland, chances are, many of them will say the deep fried, greasy, perfectly crispy corn dogs from this fun bright red corn dog truck. 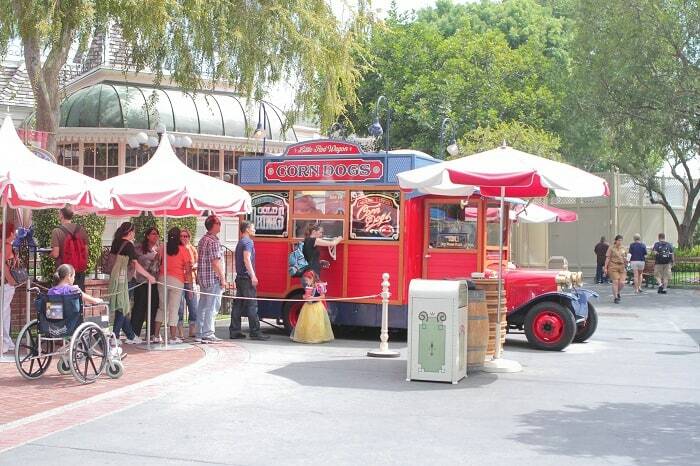 You’ll find this Corn Dog Truck located right at the end of Main Street if you are walking from the entrance of the park. You walk right up to the window to order. There are a few tables located right behind the truck or we like to go into the Plaza Inn and eat at their outside tables. Here it is….the corn dog that gets RAVE reviews. Especially by my boys. It is golden brown, crispy on the outside and hot diggety dog on the inside. Your dog will come with either a bag of chips or apple slices on the side. Do you have stories about these corn dogs? Do you love them as much as we do? Let’s hear it!! Yes, I love these corn dogs too! The line is always long, but moves pretty fast & its worth the wait! 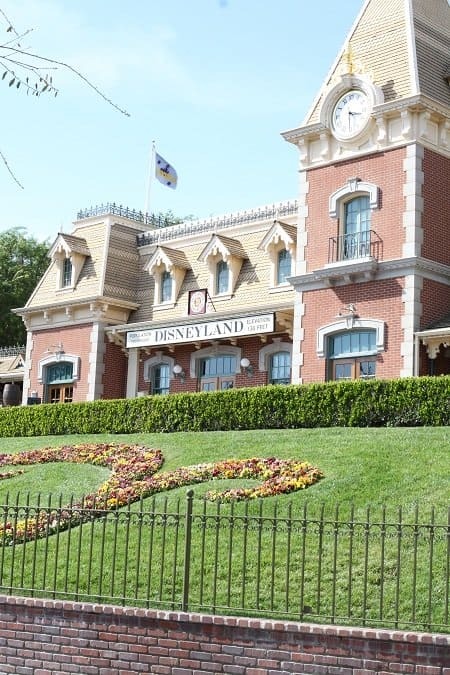 Love Disneyland, haven’t been in years, must make a point to go there again. 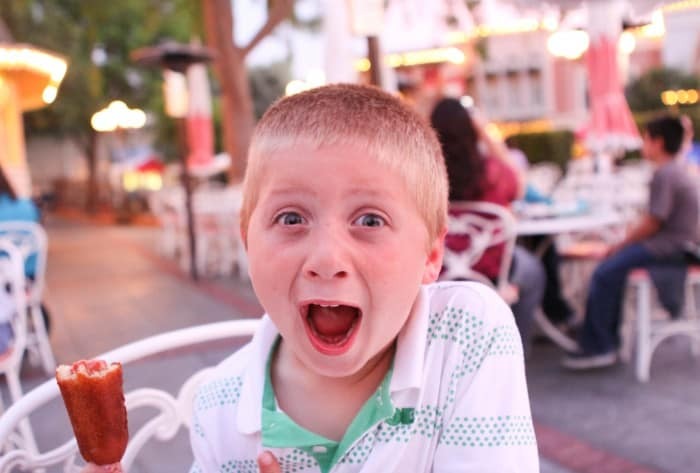 I had my first Disneyland (technically it was at California Adventure) corn dog in August. So darn yummy!! At Corn Dog Castle in DCA, they also have a spicy corn dog and a cheddar cheese stick that’s fried. My husband and I got the regular corn dog and it was wonderful. Probably the best corn dog I’ve had. The batter is so tasty!!! The spicy corn dog sounds so tempting! Will try next time for sure! 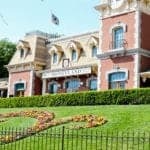 i’ve been wanting to go to disnyland for so long! i know my 6 year old would LOVE it. I’m suprised how delicious these corndogs look! I’m not even a corndog person and this looks perfect!! I had no idea about the corn dogs! Reason #8964 why we need to get up to Disneyland soon. 🙂 We’ve been thinking about later this month for my daughter’s birthday. Come on over Kathy!! Happy Birthday to your cutie pie this month!! You said it, Sista! Those dogs are to. die. for! We love them. I’ve heard they opened a Corn Dog Castle in California Adventure that features these exact dogs. What can you tell us about that? My family loves these reviews you do. We are Disneyland fanatics and love to read them together. We wish that we lived closer, as it is, we only get to go once a year. Thanks for all the fun! Hmmm, I’ll have to check out the Corn Dog Castle for sure! 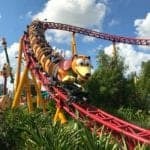 I love your disney posts! 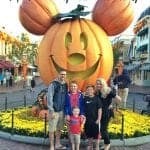 I used to work at Disney World and will start working at Disneyland in January. 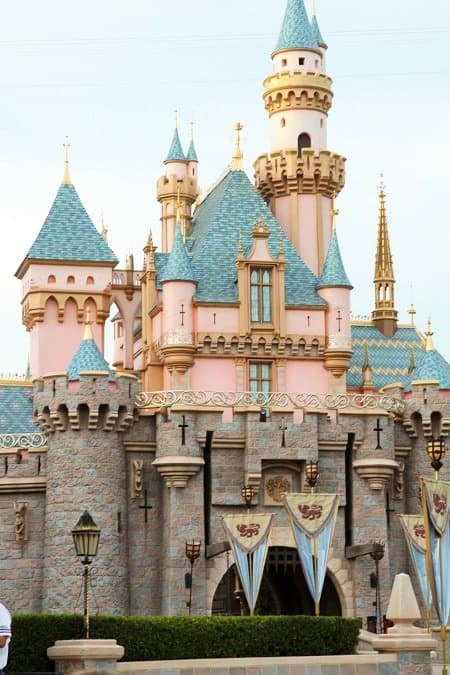 I have always LOVED disney food and you’re just making me all the more excited to get there! Try the Monte Cristo sandwich from the Blue Bayou in New Orleans Square. You’ll love it! Definitely a meal to share. I can’t wait to try that sandwich, I hear so much about it!! These are by far the best corn dogs ever. We always get one to share with our family. Yah, they are quite hard to resist! oh girl I am so so so jealous of this one. love a good corn dog, especially one that is nice & crispy! We were annual passholders for a couple years, and I certainly ate my share of those corn dogs. 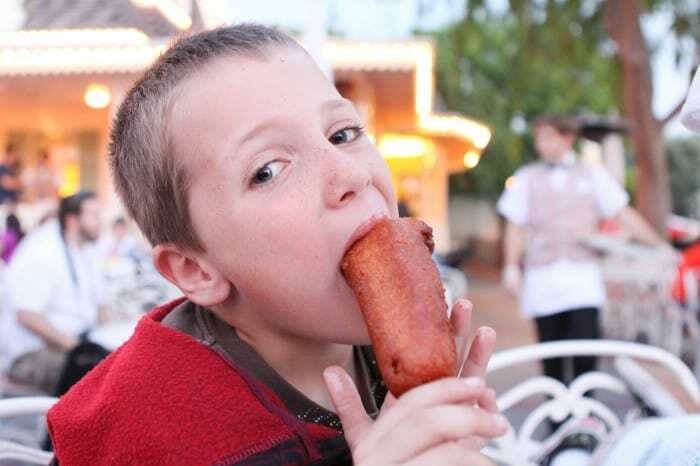 Now, everytime our friends go to Disneyland, I make them send me pictures of them having their corn dogs. Jenny I’ve been waiting for this review and I think I have left a comment about the corn dog on most of your Disneyland reviews. I am not a huge hot dog/corn dog fan but this corn dog changed that for me. It is cooked just perfectly! My sons and husband always make sure we will stop here on our visits. Thanks for another great review! 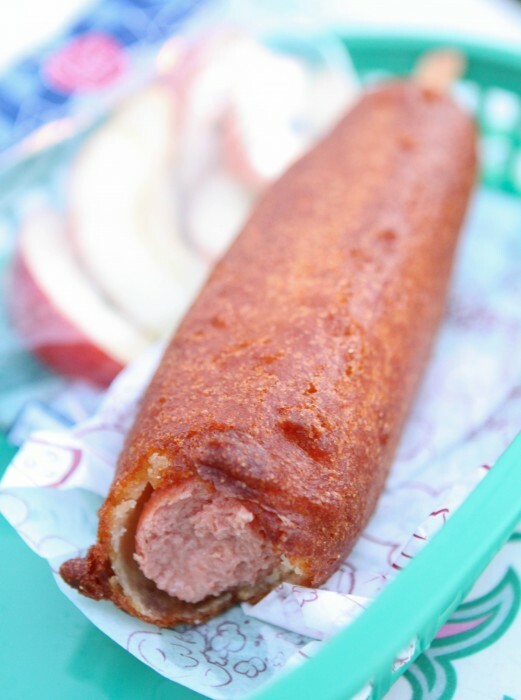 I have never had a corn dog from Disneyland…a must try on our next visit! I love these corndogs!! I am pregnant and should probably be staying away from hot dogs, but we have been twice in the last month and I have had one each time!! They are just too good to pass up! I usually get them on Main Street but last time I had one from the Castle in Cali Adventure. They are equally good!! Thanks for all your reviews and recipes! The corndogs at the end if mail street are the best in the world. Every time we drive over 500 miles to go to the park all we talk about for weeks before we leave us those dogs. 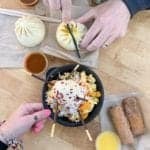 It’s the first and last place we eat each time. We always have to stop and get a corn dog from the Red Wagon. They are the best! These corn dogs are delicious! Hands down the best corn dog I have ever eaten!! They are a must on every Disney vacation. There is no corn dog on this planet that compares to the one at Disneyland. My older brother and I love them. 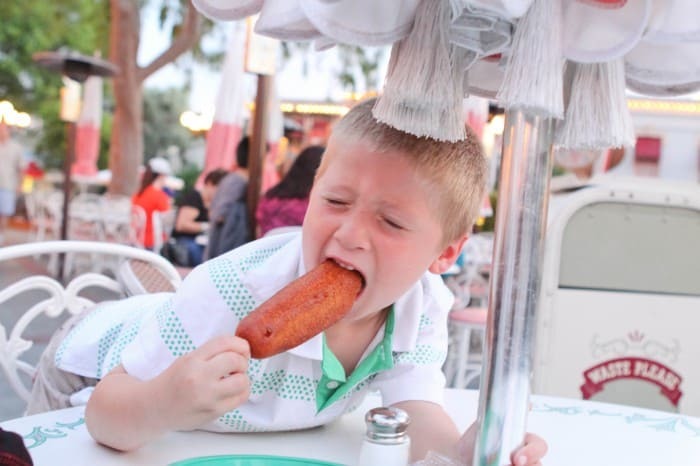 He taunts me when he is at Disneyland by calling me on the phone while eating the corn dog. Any other corn dog I eat is always compared to this one and they always fall short. It is as much a part of my memories of Disneyland as any ride!